You know those days when you come home from work and you’re just exhausted. All you want to do is drop your keys on the ground, followed by throwing your body after them, and finally curling into a ball and napping into the next century. But you’re also so hungry since you missed lunch and had a million meetings, some of which off-site, and you’ve run around all day ignoring your body’s pleas for sustenance. So that when you finally walk through your door, you are competing between rest and food. Rest and good food. You can’t have pizza or McDonalds twice in one week. The solution? Literally the easiest, and juciest, quickest way to make chicken I know. Have chicken? Have a lemon? Have herbs? Good. You’re only 10-15 minutes away from becoming human again. 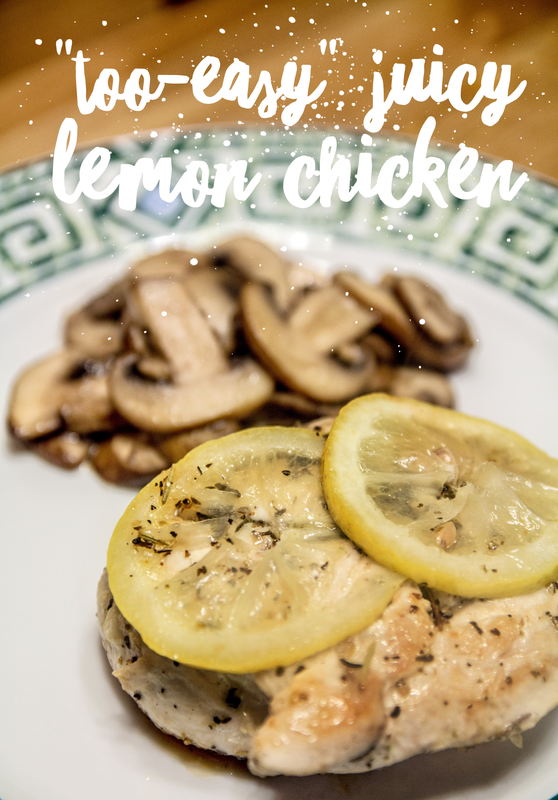 This pan lemon chicken is quite delicious for any lazy cook. What I like best is that it’s juicy. 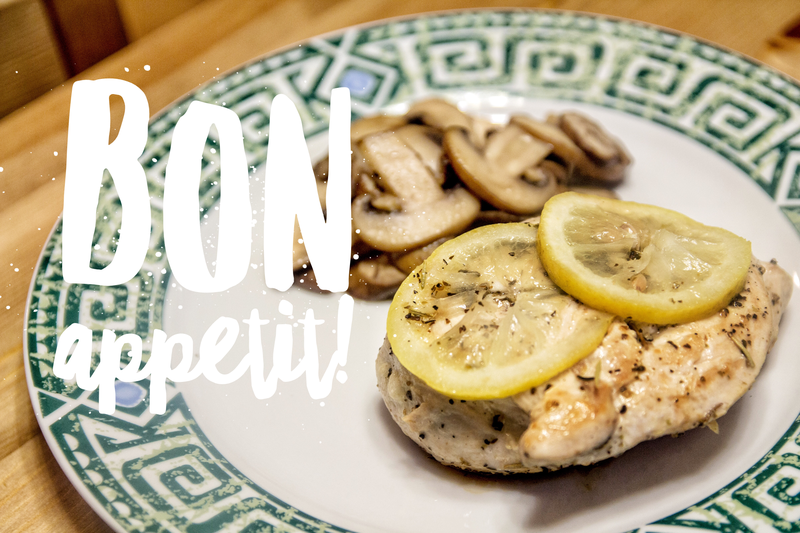 So often chicken breasts tend to cook on the dryer side, making them dull, chewy, and flavourless- but not this! I like to make a few breasts at a time and store them for later in the week. I can use them to add protein to salads, add to sandwiches, or use in soups. There is no going wrong here. Heat oil on a pan (with a lid) on medium-high heat. 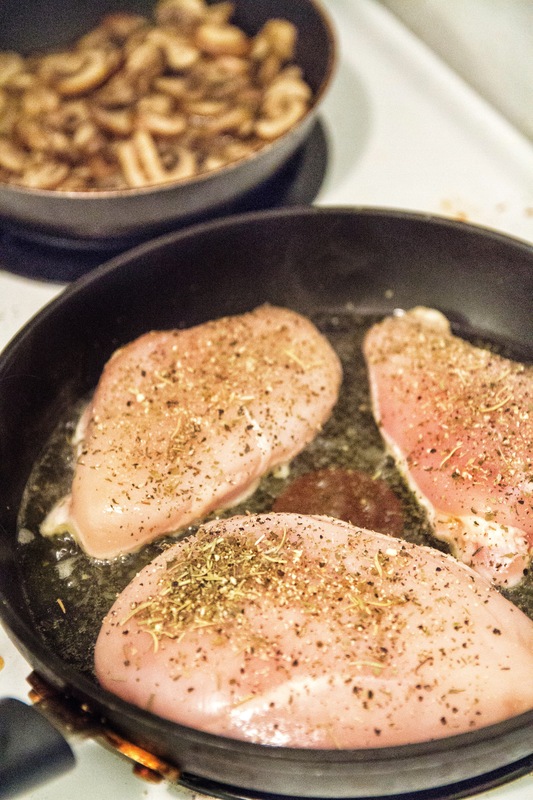 Place chicken breast(s) on pan and season exposed side generously with garlic salt, pepper, and dried herbs. Remove when pan-side becomes browned (about 3-4 minutes). 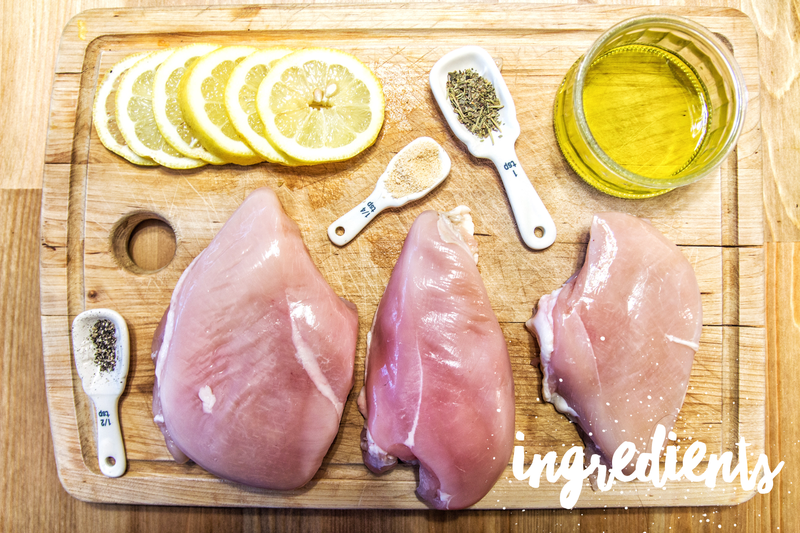 Flip chicken breasts over and season browned side generously with pepper, garlic salt and dried herbs. Place lemon slices on top of the breast. Reduce heat to medium, and place the lid on, slightly ajar leaving a bit of room for steam to escape. Cook until chicken is done (about 10-12 minutes). Check to see if chicken is cooked through. 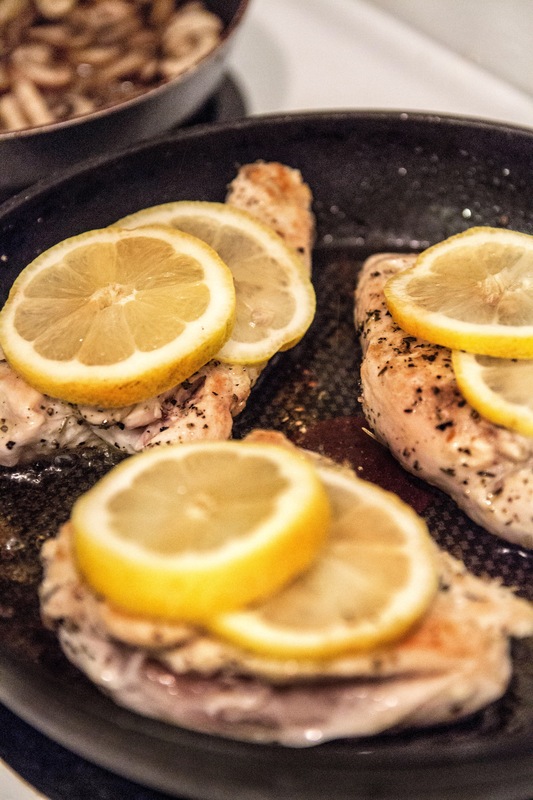 Once it is, remove from heat and remove lemon slices from chicken before eating. Enjoy! Yay!!! You just made my day! Thanks for following up and letting me know how it went for you!! My mouth is literally watering, lol. This is now on my to-do list, thank you!